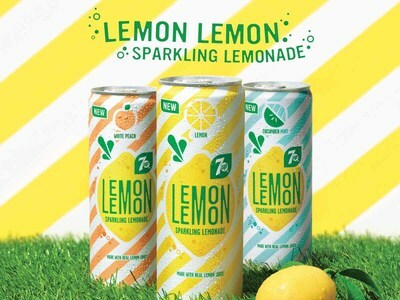 TORONTO, May 3, 2017 /CNW/ - Just in time for summer, there's 7UP Lemon Lemon, a new sparkling lemonade from PepsiCo offering a bubbly reminder to escape from your busy daily routine, to be outdoors, under the sun, in the open air. Lemon Lemon wants to celebrate the magic of a picnic: The physical and emotional getaway that allows people to break away from routine and reconnect with the people who matter. Where there's talking instead of typing and friends in place of screen names. The Lemon Lemon moment is not just the literal escape to the outdoors; it is an everyday lunch at the park, happy hour on a rooftop or a spontaneous weekend getaway. 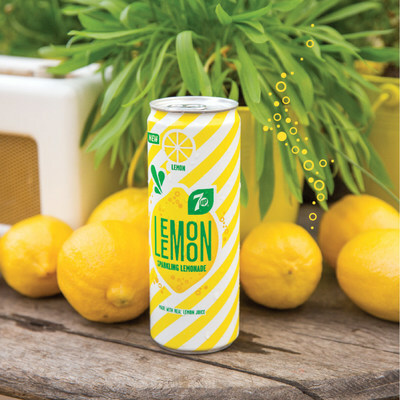 Now available in Canada, consumers can pick up Lemon Lemon in its sophisticated and contemporary striped slim can packaging and enjoy the sparkling lemonade. "7UP Lemon Lemon is about finding a balance between routine and relaxation, modernity and nostalgia," said Logan Chambers, Director of Marketing, PepsiCo. "Join us in taking time to enjoy Lemon Lemon while you relax, recharge and reconnect with those around you." To celebrate the global launch of Lemon Lemon, consumers can power down and get away with "Picnic Time Off," a series of picnic events in three of the world's busiest cities – Paris, New York and Toronto. Each Lemon Lemon picnic will include the simple pleasures of escape including music, refreshment, real life connections and, of course, a chance to taste Lemon Lemon. 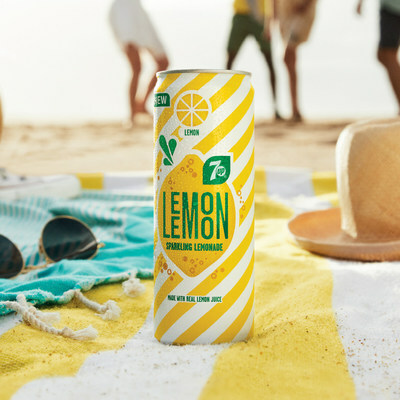 Now on grocery and convenience store shelves in Canada, 7UP Lemon Lemon has 70 calories per 355mL can, no artificial flavours and is sweetened with a blend of sugar and stevia leaf extract. Lemon Lemon is available in a variety of flavours including Lemon, White Peach, and Cucumber Mint. Follow Lemon Lemon at www.instagram.com/lemonlemon_ca/ and https://www.facebook.com/LemonLemonCanada/ to be reminded that an escape is just a sip away. PepsiCo Beverages Canada (PBC), a business unit of PepsiCo Canada ULC, manufactures, distributes, markets and sells a broad range of beverages. Employing approximately 5,000 associates across the country, PBC's beverage portfolio of brands includes Pepsi, Diet Pepsi, 7UP, Aquafina, Lipton, Tropicana and Gatorade.